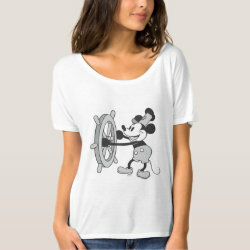 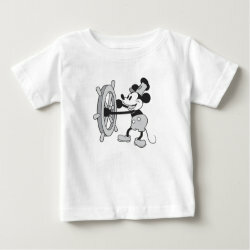 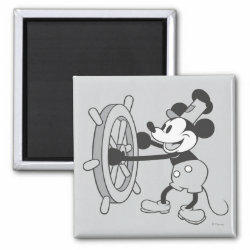 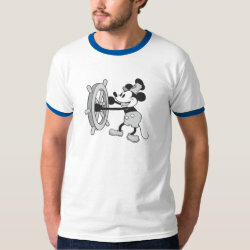 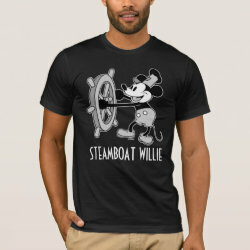 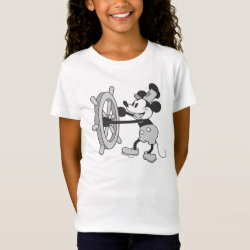 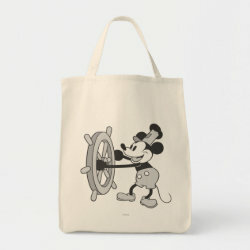 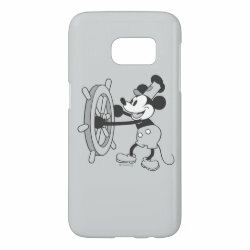 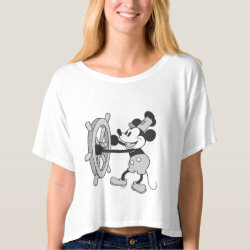 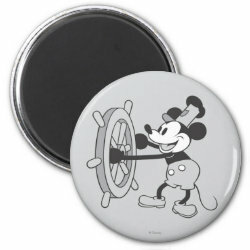 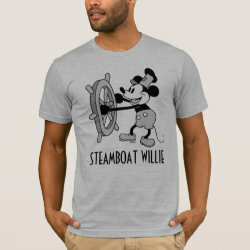 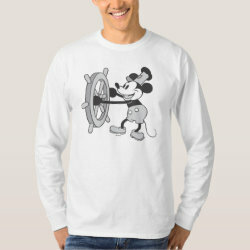 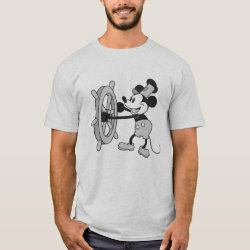 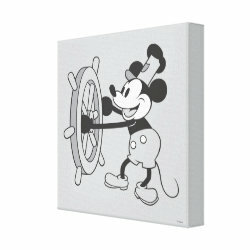 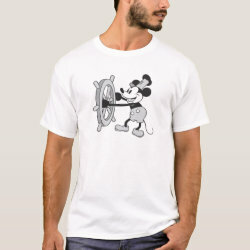 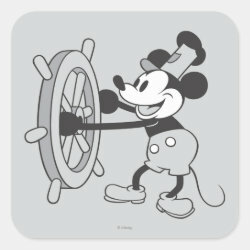 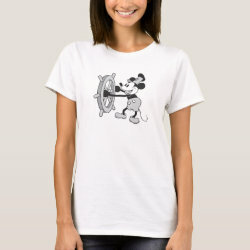 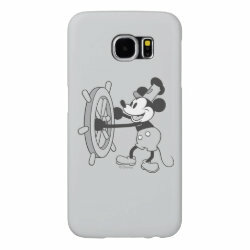 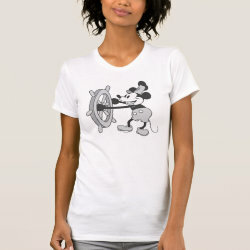 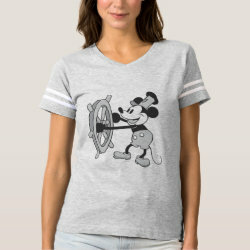 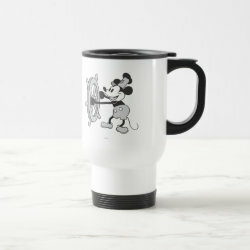 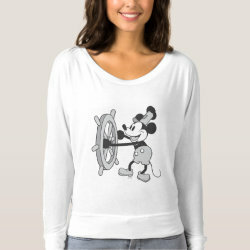 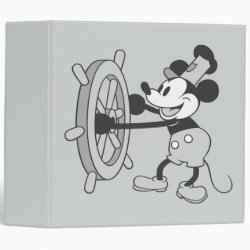 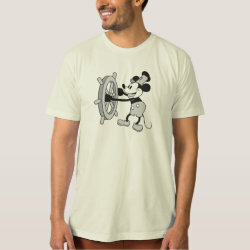 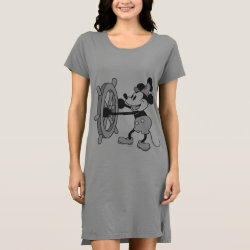 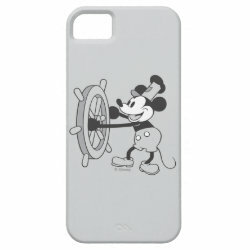 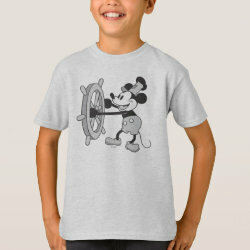 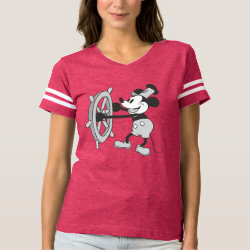 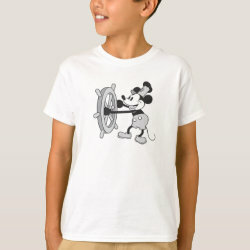 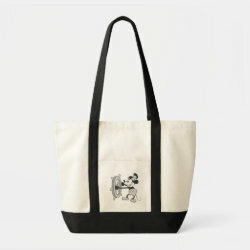 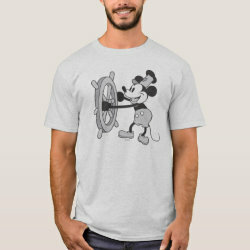 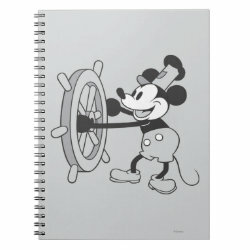 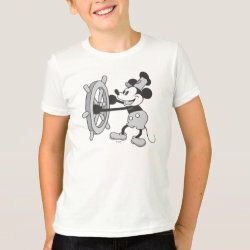 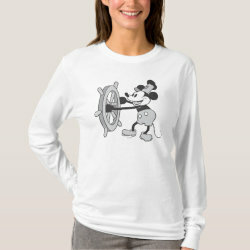 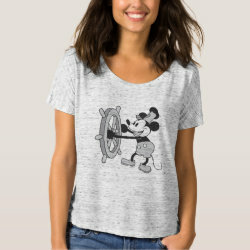 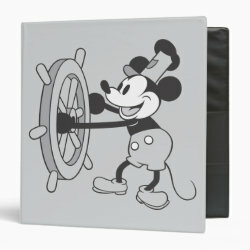 This Disney retro black-and-white design from the official Disney store at Zazzle shows Mickey Mouse in a scene from the 1928 animated short film "Steamboat Willie", More... which was directed by Walt Disney and Ub Iwerks. It was one of the first cartoons with synchronized sound. 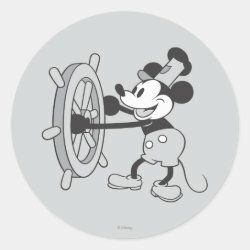 This graphic is from the official poster for the animated film. 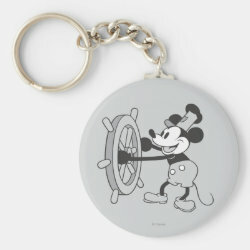 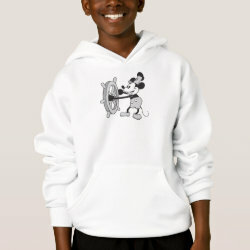 Great gifts here for Disney fans and Mickey Mouse collectors.